However, that doesn’t mean that I won’t necessarily know something until I’m 4 months out. 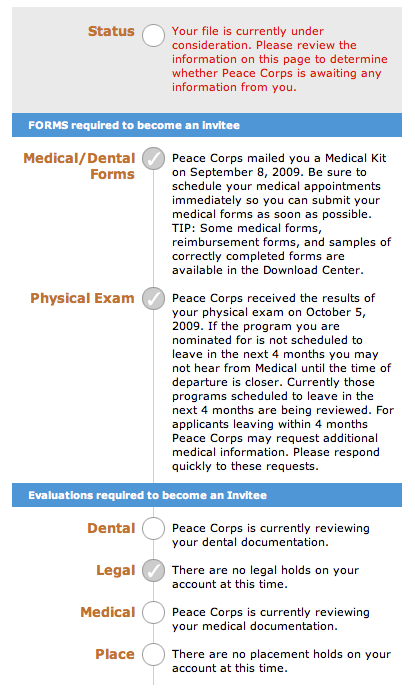 In fact, as evidenced by the Peace Corps Wiki’s timeline, I could find out as soon as 6-7 months from my expected departure, which for me could be as early as December or January. Either way, it sure feels good to see some more checkmarks on my application status.